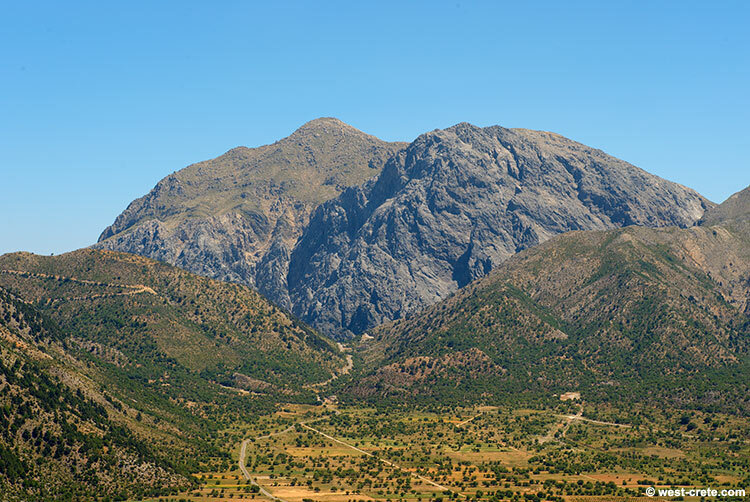 The southern end of the plateau of Omalos: the road in the centre of the image leads to Xyloskala, the entrance of the gorge of Samaria. The dirt road that you see winding up the hill in the left of the image leads to the refuge of Kallergi. The highest mountain in the centre of the image is Volakias (2116m). Next to it with its almost vertical north face is the summit of Gingilos (1980m).